Hazards Broadsheet: Stereo Aids - Manufacturers of Mirror and Pocket Stereoscopes. 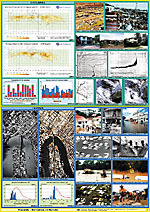 Publishers of 3D Imagery. 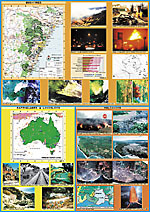 This new broadsheet contains data sources of various types (maps, photographs, graphs) which focus on a number of natural hazards: cyclones, floods bushfires, earthquakes & landslides and volcanoes. develop an understanding of the ways in which individuals and organisations work to minimize the impact of hazards.